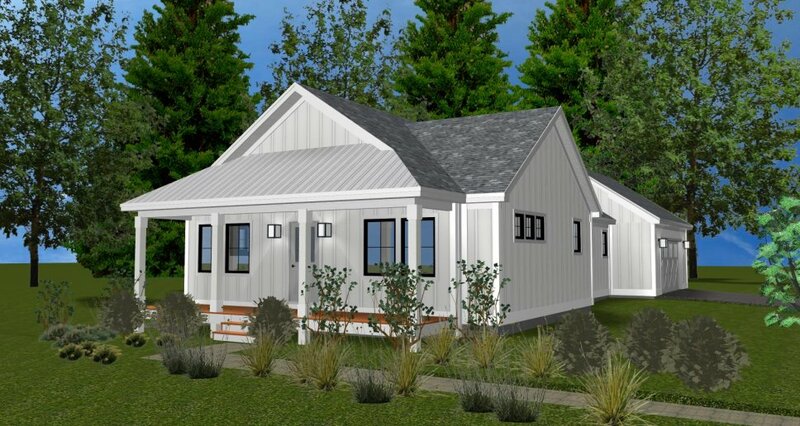 42 North Custom Homes welcomes you to a modern cottage surrounded by beautiful views of the vineyards of Fenn Valley. This ideal vacation getaway is just minutes from Saugatuck and Fennville. A simple design features open spaces, quartz countertops, and custom cabinetry built by 42 North. The main floor master bedroom includes a spacious en-suite bath with curbless tile shower. Enjoy the vineyard views from both the screened porch and front porch areas. This home is perfect for entertaining!